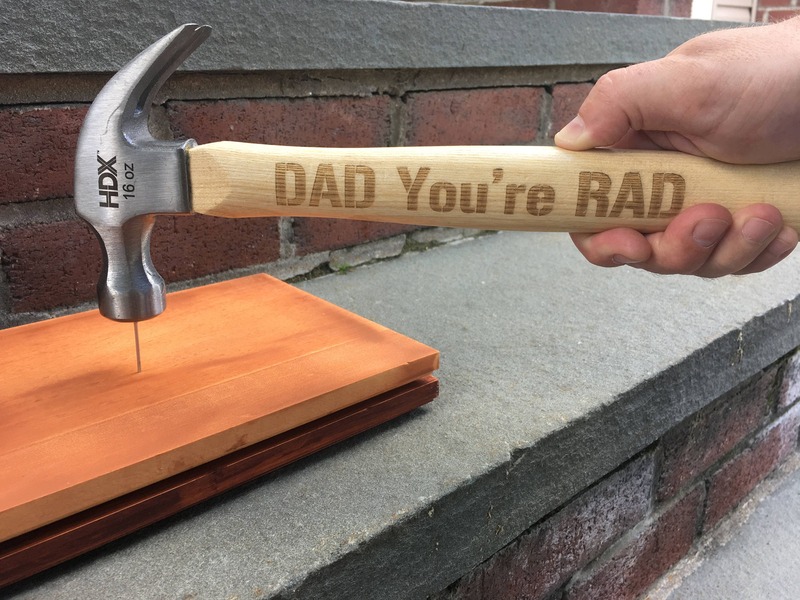 How RAD is you're DAD? 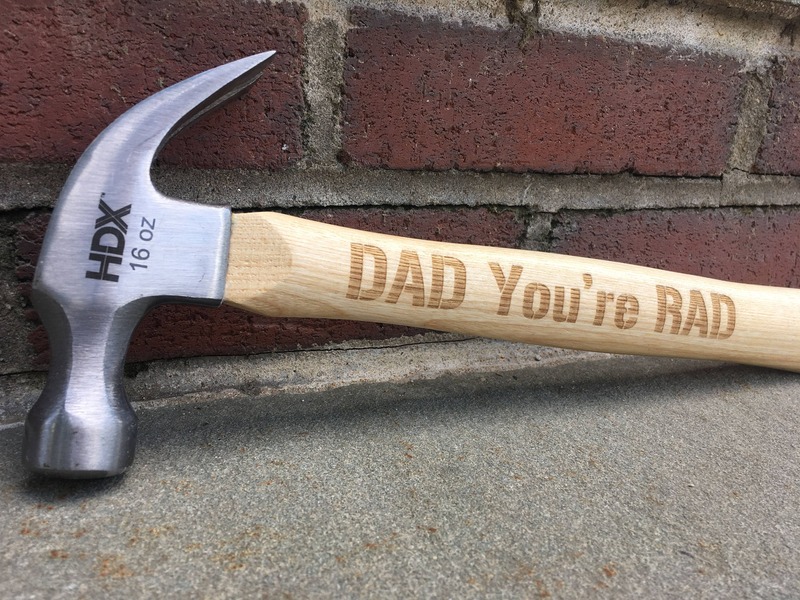 Show your Dad some love with this laser engraved hammer. In this listing you also have the option to add an additional custom engraved, short message on the back. 2) From the drop down menu select your engraving options. 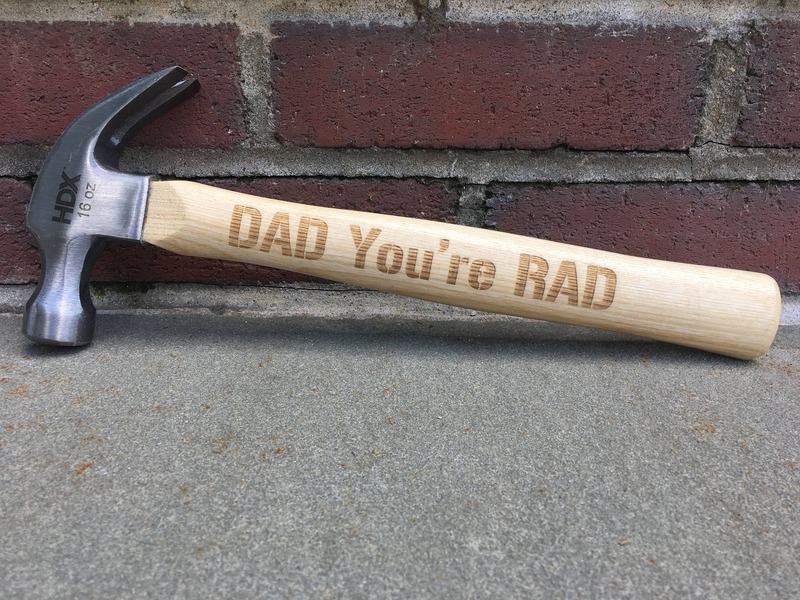 Front Only includes DAD You're RAD. 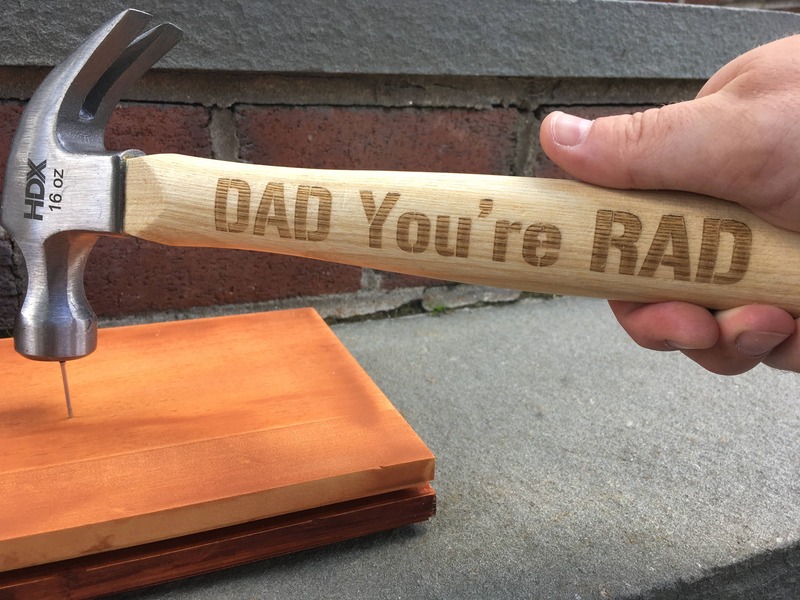 Front and Back includes DAD You're RAD on the front as well as your custom engraving on the back. 3) If you choose Font and Back, in notes at checkout indicate your custom message. Back engraving will be engraved in Times New Roman font.